Doors and window are among the most important areas of the home to secure, but unfortunately security doors and window grilles often sacrifice aesthetics and do little to add value to the appearance of any home. Fortunately with the timeless beauty of wrought iron you can blend style with substance, acting an attractive and secure option to safeguard the entry points to any home. Our attractive iron security doors allow a view and are a perfect compromise to boost the physical security of any home without resorting to a full-blown surveillance system. 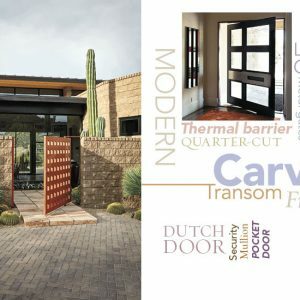 Our custom created security doors can create an imposing barrier to any home or business. As one of the fastest growing sections of our business, we can manufacture fortified and impenetrable security solutions for any Vancouver, Richmond or Burnaby property that will work in harmony with the existing architecture of the building. Best Brothers Group provide a custom solution to suit the exact specifications of your windows and doors. Each of our security doors, window grills or iron grates is designed to blend seamlessly with the building and the beauty of solid iron means it works well with most other building materials. From timber, brickwork, stone, cement and glass, iron complements both contemporary and traditional building styles. Personalise the design of your security doors with unique features, including decorative trim, spirals, mirrored designs for double doors and much more. Each door or window solution will not restrict the view, air or light into the home making it your doors the perfect lock and leave solution. Forget the ugly jailhouse look of standard window bars. With wrought iron you can have a decorative, robust and effective security solution acting as a strong deterrent to would-be trespassers. Browse our security doors gallery to see the attractive solutions we have installed in homes and businesses across Vancouver, and then get in touch with the experts in iron at BBG for a solution to suit your needs. Security Gates & Grilles enhance the security of your property by adding physical barrier to windows and doors without ruining the aesthetics.